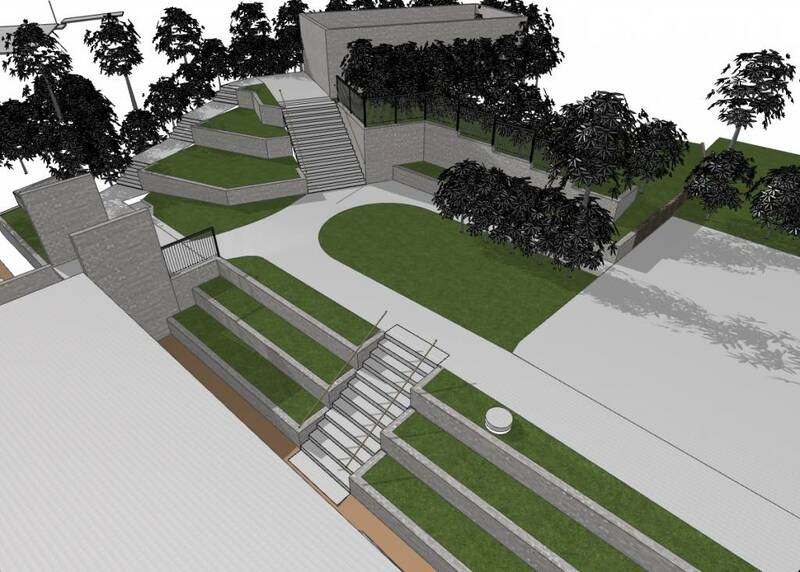 The middle of the school is currently landscaped with a system of log retaining walls, paths & gardens. The site here slopes steeply over the equivalent of 2 storeys. 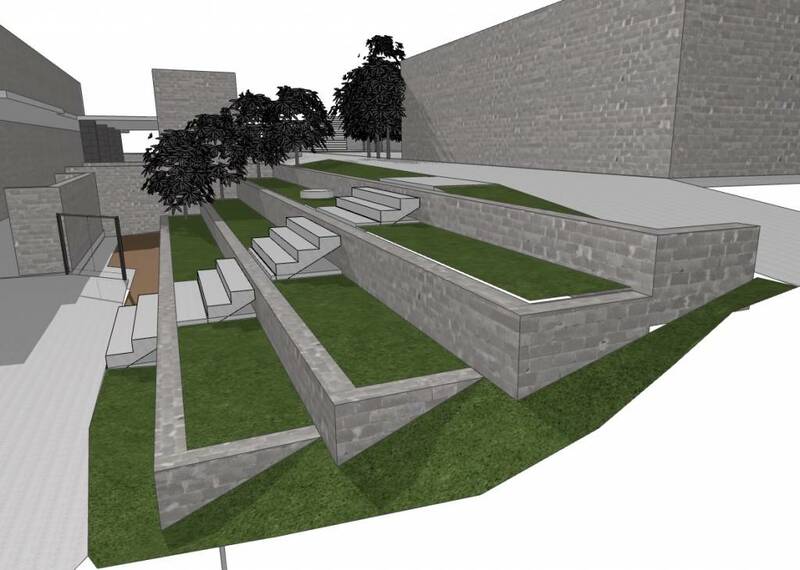 This scheme proposes a new configuration of stepped concrete block retaining walls & grassed terraces. When built, this will open up the middle of the school to provide level open play areas in the middle of the school. 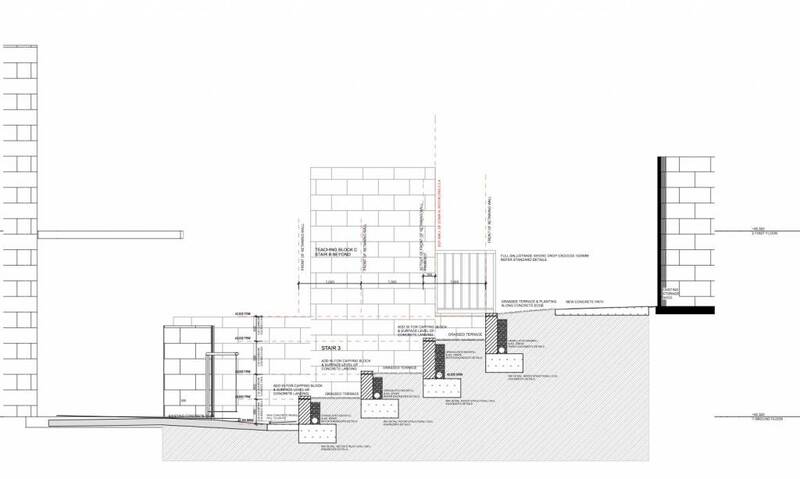 On a school whose site slopes so steeply across its entire width, such level areas are necessary to maximise the useable areas of the school. 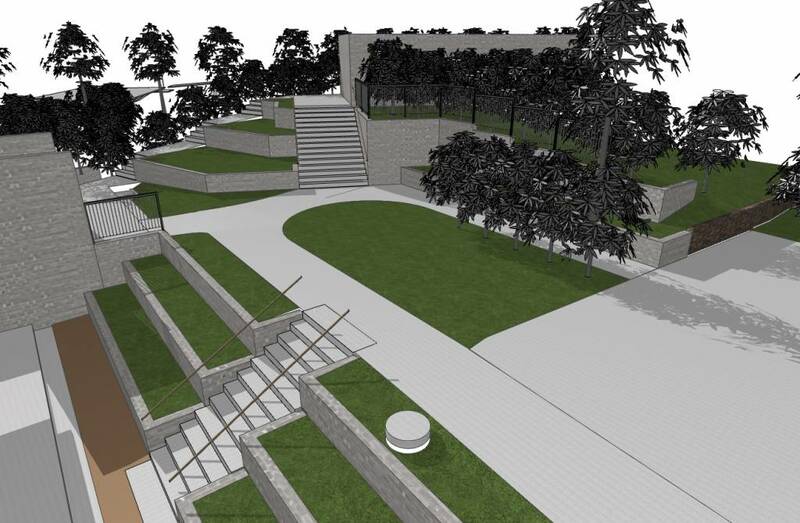 Where retaining walls were required, they have been designed as stepped grassed terraces. 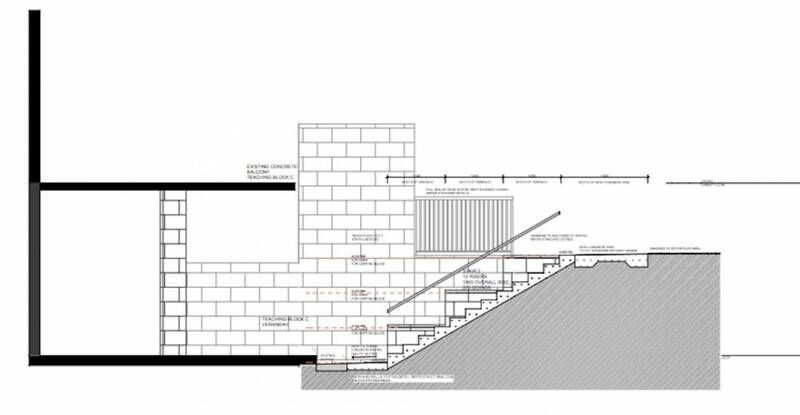 This eliminates the need for balustrades and results in seating areas and informal learning areas as landscape extensions of the classroom buildings. 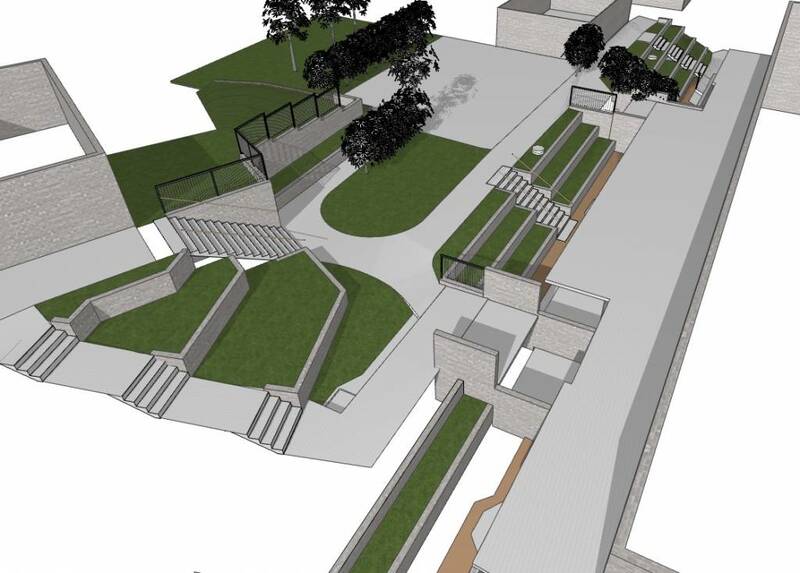 From a hazardous system of paths and retaining walls, the levels have been reshaped to transform the centre of the school grounds into usable outdoor spaces which integrate with the school’s other buildings.